GEO: CHAPMAN. BEN: IONSON. IOH: MARSTON. 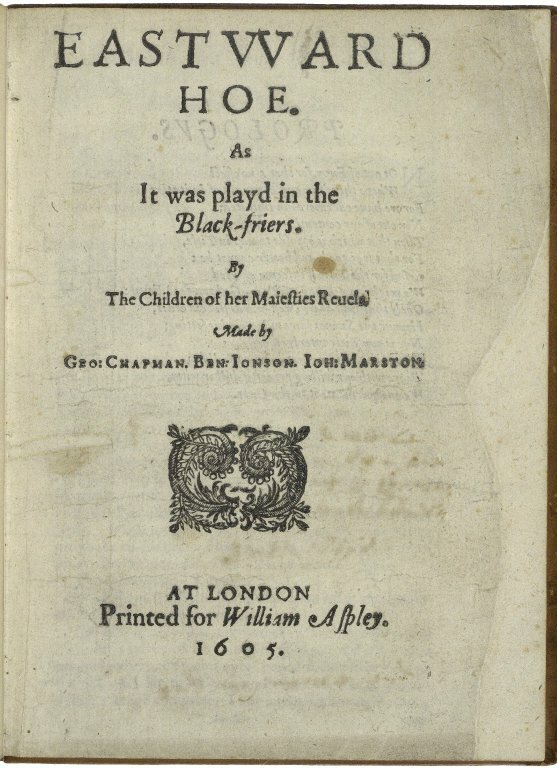 As It was playd in the Black-friers. By The Children of her Maiesties Reuels. AT LONDON Printed for William Aspley. 1605. Title page imaged from Folger call number: STC 4971. Image is not from the transcribed copy.